Today I am grateful that God became man and dwelt among us, and brought salvation to hopeless sinners like me. Christmas lights are starting to shine everywhere, Advent is around the corner, and I am ready to celebrate the Incarnation of our Lord again. This year, however, I want to invite you to celebrate with me. 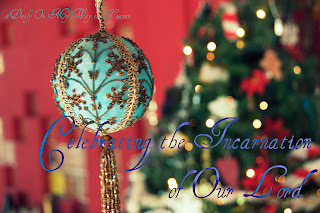 Starting Wednesday, December 1, I will write every week in December about the doctrine of the Incarnation (what it is, how it affects me, how we celebrate it). Today, let us welcome the King with thanksgiving in our hearts!